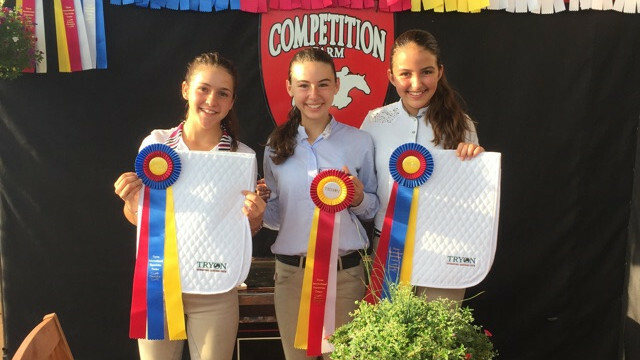 Competition Farm is proud to offer various programs that enable any rider on various schedules to participate in the wonderful sport of horseback riding. 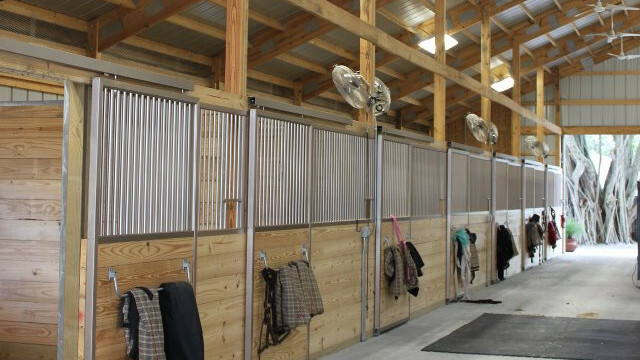 Competition Farm’s facility enables a full-board program for your horse, which involves taking care of their daily maintenance. This includes twice-daily feeding with supplements and stall cleaning, daily turnout, and weekly lessons. In addition to the regular care, we also provide a full-care board program, as well; this includes training of your horse, full grooming, and preparation for your lessons. We offer one hour group lessons or half hour private lessons. Students are taught everything from the basics all the way up to show circuit levels. Lessons are scheduled on a regular, weekly basis; Tuesday through Friday, from 3:00pm and 6:00pm. Half hour private lessons are recommended for new students. If you have your own horse or are intersted in purchasing one, Competition Farm offers you everything you need to keep them safe and under careful supervision. If you are considering boarding with us, please give us a call or send us an email, we would love to dicuss your needs and talk to you about all of your options! Full Care Boarding includes everything that is offered in full service board, with some additional benefits. With this package, you also get the training of your horse, full grooming before and after riding your horse, and having your horse tacked and ready for your lessons. 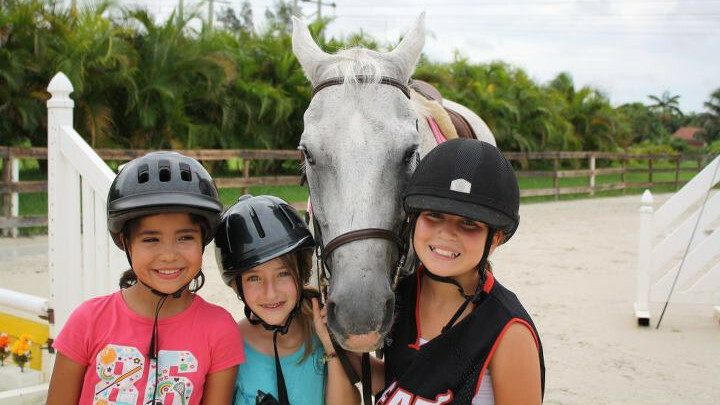 For children ages 7 and up, have a blast in our 10-week summer riding program! Ride horses, learn about safety and horse care, meet new friends, enjoy planned activeties and much more! 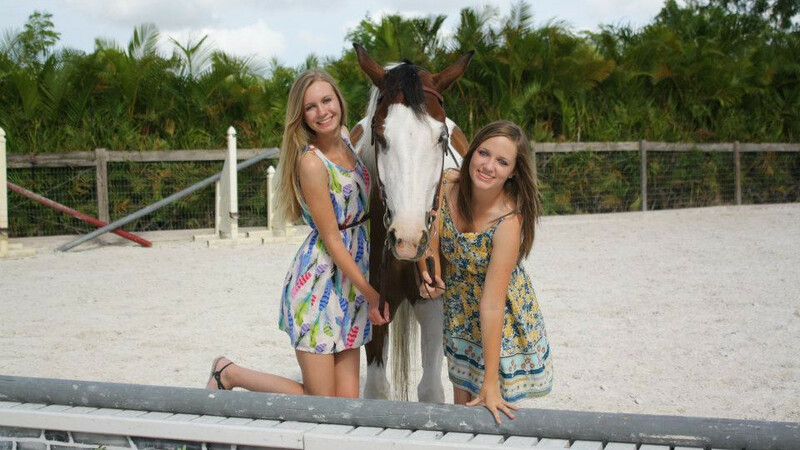 This summer program is for any child that wants to enjoy some horse loving fun in the sun. 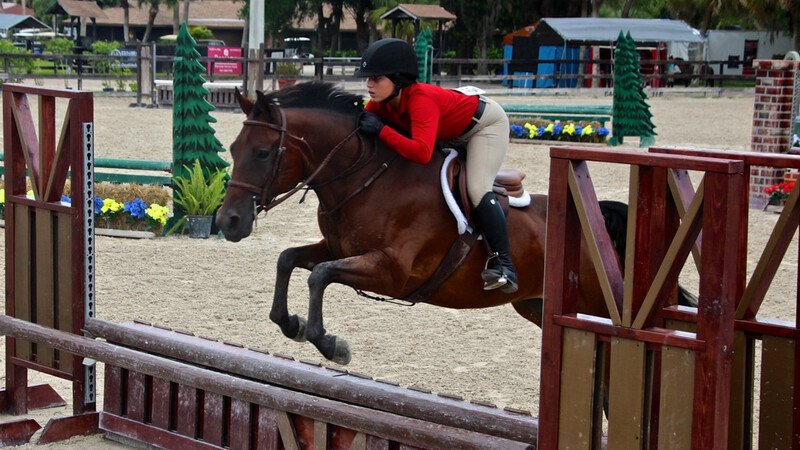 We offer this program for all levels of riders and we highly recommend it for those looking to advance to the next level. What is the Summer Riding Program? Our summer program gives students six hours full hours of horse handling every day from Monday through Friday, 9:00am to 3:00pm for 10 weeks! Summer riding students have the opportunity to ride horses, but they also learn all of the very important aspects of horse care on the ground. We teach the summer program students about safety around horses and educate them in every aspect of horses' needs — from tack to grooming and everything in between. We also host our very own fun horse shows, invite special guest speakers and plan many exciting activities and games for everyone to participate in! 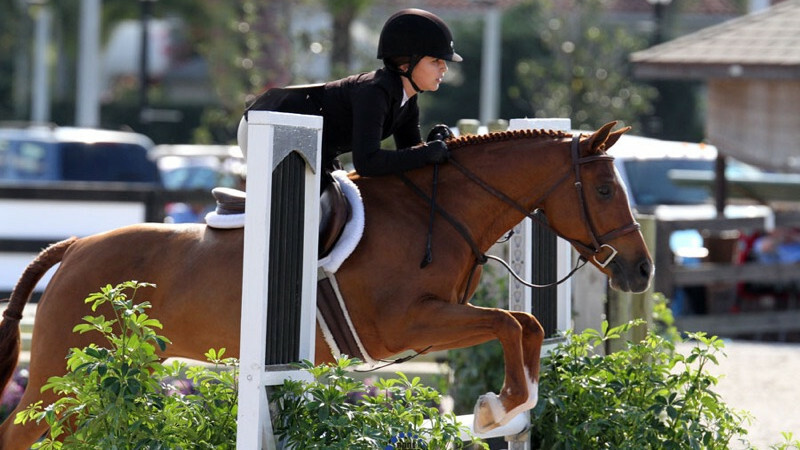 Who can come to the Summer Riding Program? Any child (girl or boy) age 7 and up is welcome! How much does the Summer Riding Program cost? Our prices for 2016 are $300 per week, or 4 weeks for $1000 (payment in full is required). When is the Summer Riding Program? Here is our schedule for 2017!